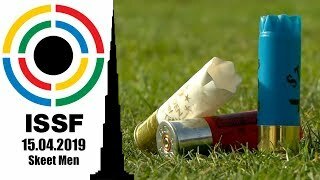 Three years after his last world cup victory, the Italian champion finished atop of the podium with a massive 6-target lead on his followers. 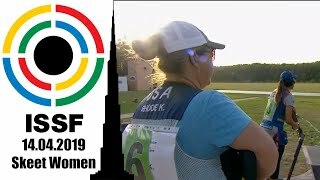 Di Spigno claimed Almaty's Double Trap Gold, and set three goals. 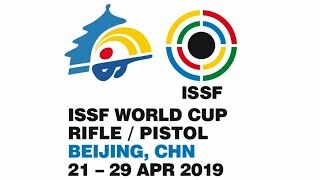 Italy's Double Trap specialist Daniele Di Spigno came back atop of an ISSF podium 14 months after winning his last world cup medal in Acapulco. And, on the road to Rio 2016, he set three goals to achieve. 20-year-old of USA Ian Rupert just won the Double Trap Men Junior event at the World Championship in Lima, Peru. The secret is the same as in Acapulco: "Hard work. That's it!" The 19-year-old Ian Rupert, from Pennsylvania, was the youngest competitor in the Double Trap Men event that gave him a Bronze medal. “Double Trap is quick and easy!” the young athlete said. Italy’s Daniele Di Spigno, 38, won today’s Double Trap Gold medal match, at the 2013 ISSF Shotgun World Cup in Acapulco, Mexico. The Italian shooter beat Segio Pinero of the Dominican Republic 27 to 26 hits, out of 30 targets.